Learn more about our founder, Dr. John McKee, who established Pace Learning Systems and its mission in 1977. Learn more about our President/CEO, Dr. Susan McKee, whose professional history was recently featured on AL.com. 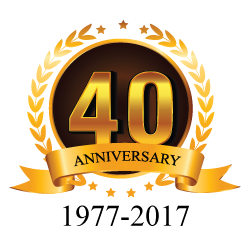 This year, Pace Learning Systems celebrates its 40th year of success supporting struggling learners. For four decades, Pace has worked to help basic education programs support student success, by providing simple-to-use systems that ensure quick, consistent progress to higher levels of educational achievement. Pace continues to develop instructional systems that help distinguish a classroom from traditional education environments. A wise man once said, “Nothing teaches like success.” The Pace method utilizes small-step learning successes, in order to help programs and students achieve great success. In the same way that struggling learners fall into a cycle of failure, over time, individuals can likewise experience a cycle of success. They can develop and harbor a “tailwind” of successful learning experiences to push continued progress and development. In a Pace System, the learner takes ownership of the learning task and shoulders responsibility for their own learning. If students can see and feel their progress, and if they can credit themselves and their own focused effort for this progress, they will maintain the necessary motivation and independence to achieve their learning goals quickly and consistently. It is with this motto, “Nothing Teaches Like Success,” that Pace continues to support its partner programs and its mission.